I seriously don’t know why it has taken me so long to make this. It gets better and better each time. My 12 year old requests it now. It has gotten to the point where we can’t NOT have goat cheese in the house in case on a whim she wants it and I can’t make it. I guess there could be worse things in life right? Anyway. This is super easy to make and really only takes a few ingredients. at the 25 min mark…. 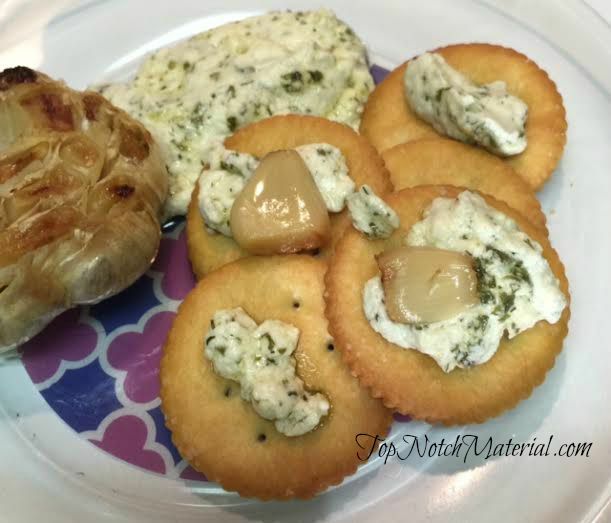 take cracker, tortilla chip, baguette etc and place a little cheese and garlic on and enjoy! !